Every now and then I think to myself that I should probably stop painting all the things white. My husband says I have a problem. It’s too much. I’m out of control. I must be stopped. And while be may have a good point, today’s project doesn’t help his case. 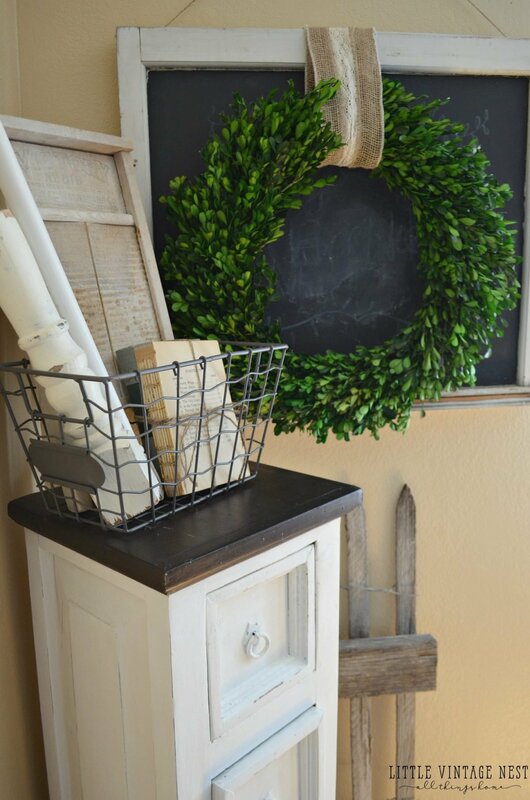 In fact, I am sharing a simple before and after that only deepens my love for white chalk paint. 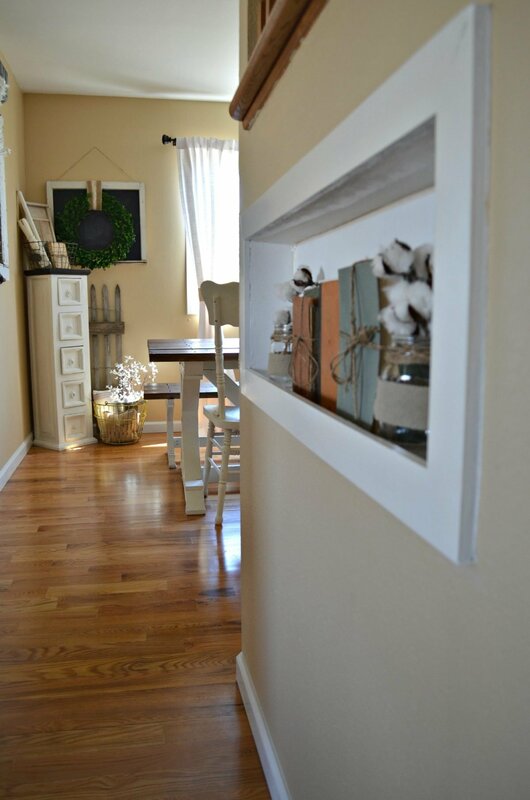 The project came about when I was looking to add a little more storage to our dining room. Lucky for me, I already had this cute little cabinet sitting in my son’s bedroom, just taking up space and serving no purpose at all. Ok, confession time. 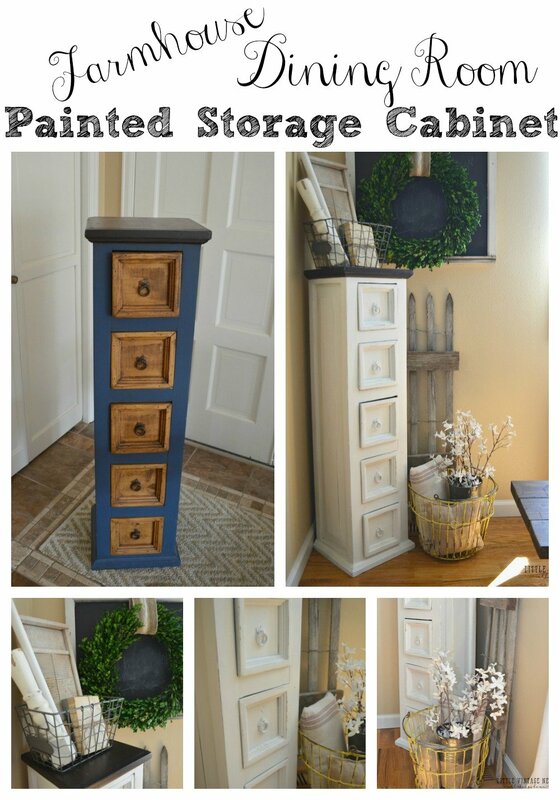 I actually painted this cabinet about 3 years ago….Yes, I chose that dark blue. And for some reason I thought it was a good idea to leave the drawers alone. Have I mentioned before that I went through a color phase, in which I thought it was a fantastic idea to use as many colors as possible in every single room…It resulted in really busy, and somewhat stressful, decor choices. Thankfully I grew out of that. 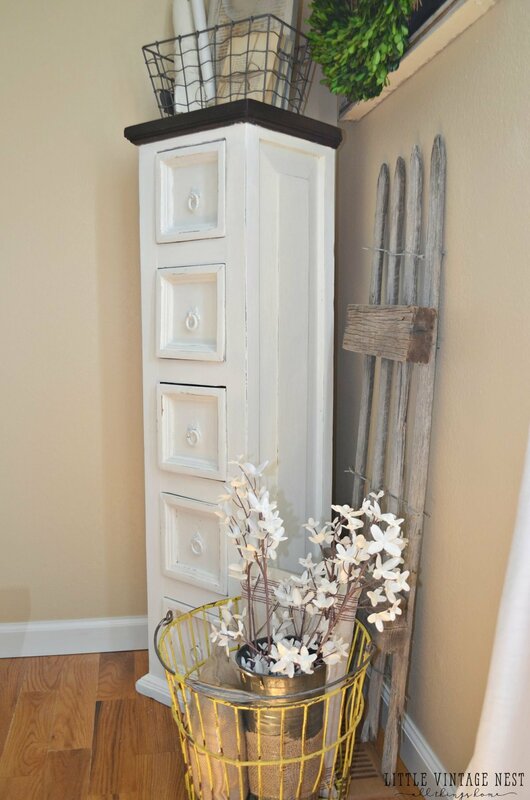 For this project I used a mix of Annie Sloan chalk paint in Old White and Pure White. I would say I did about 50/50 mix between the two, give or take. Honestly, I was trying to use up the last little bit in each can so I wasn’t measuring anything. I also lightly distressed the edges to give it a little more dimension. I usually prefer doing this on a piece I’ve painted all white, it just spices it up a bit. 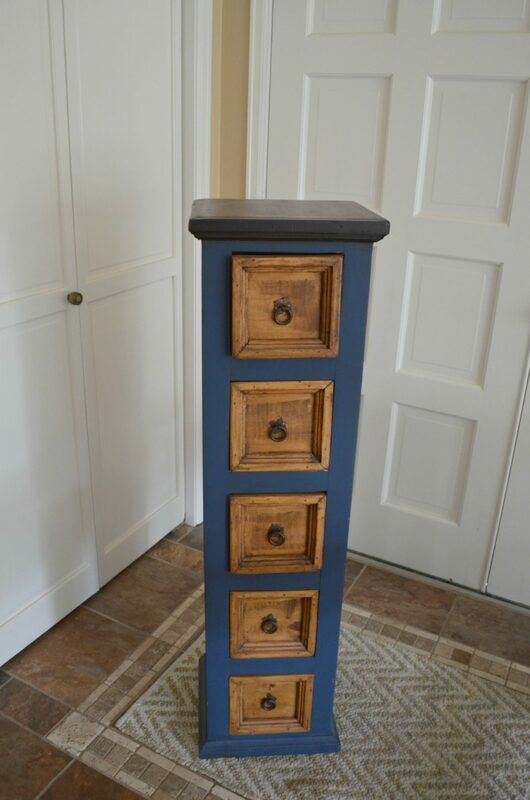 The top of this cabinet was stained with Java Gel Stain. You can find it here. I love this stuff. I highly recommend using it when you’re trying to create a super dark top like this, in contrast with the white paint. It’s my favorite combo. Our dining room is a fairly small space, so little cabinet fits perfectly here. 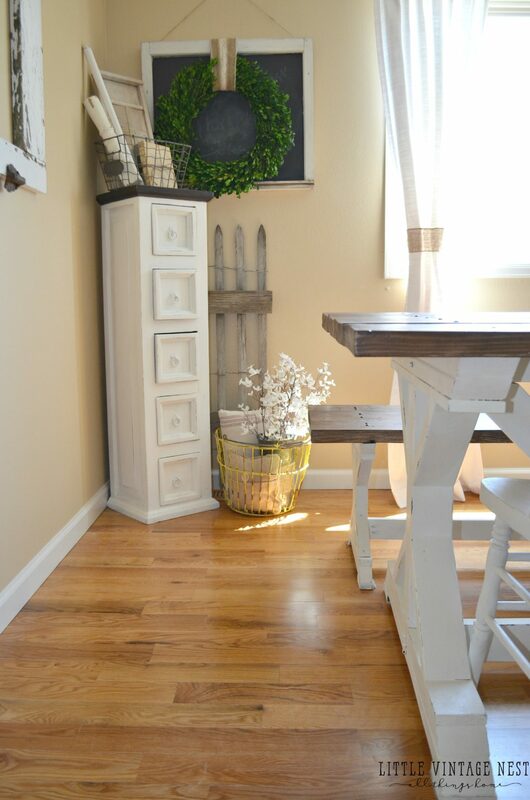 While it doesn’t offer a ton of storage, it’s great for my extra dish towels, aprons, and tablescape goodies. This was such an easy project, but I absolutely love how this turned out. 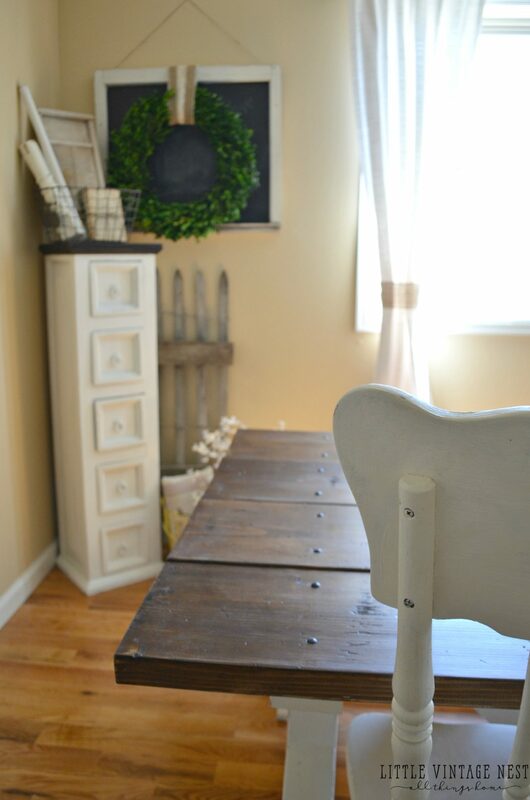 I just adore this little cabinet painted white and now it has a new life and purpose in our dining room. I can’t wait to get it full of treasures. What do you think? Let me know if the comments! Or find me on Instagram, Facebook or Pinterest. I love it!! And your table!! 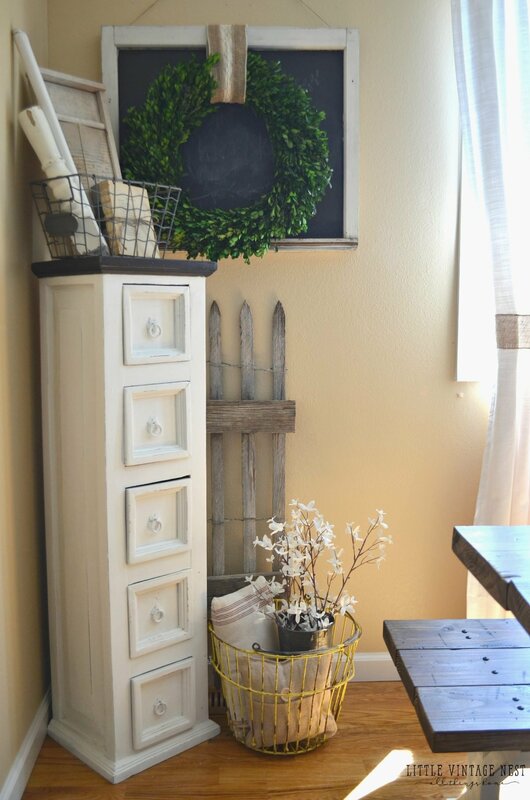 My hubby refuses to let me paint furniture so I live vicariously through others that do, lol!! Oh that’s a bummer! I hope he changes his mind soon. 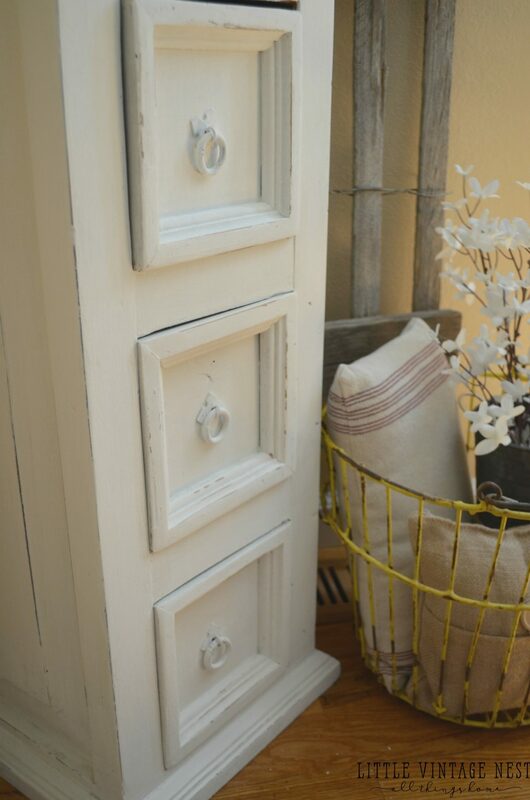 Life is too short to not be painting furniture white. Ha! Lovely!! 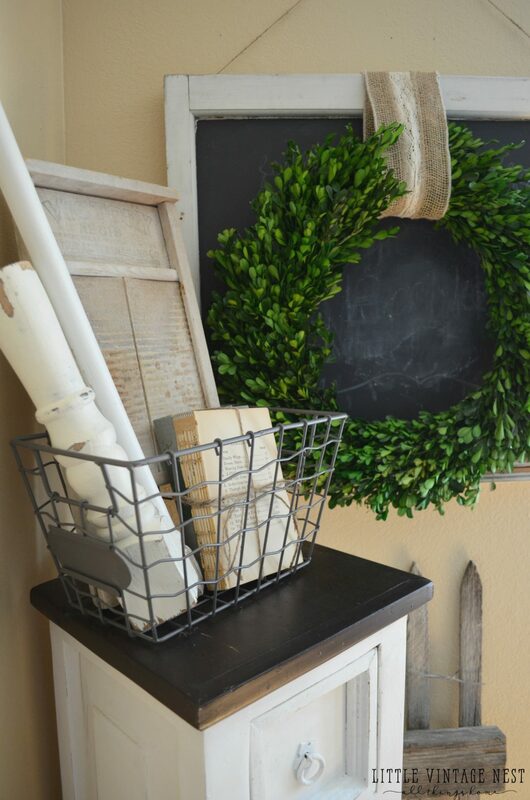 I am also a big fan of white chalk paint! This is beautiful! 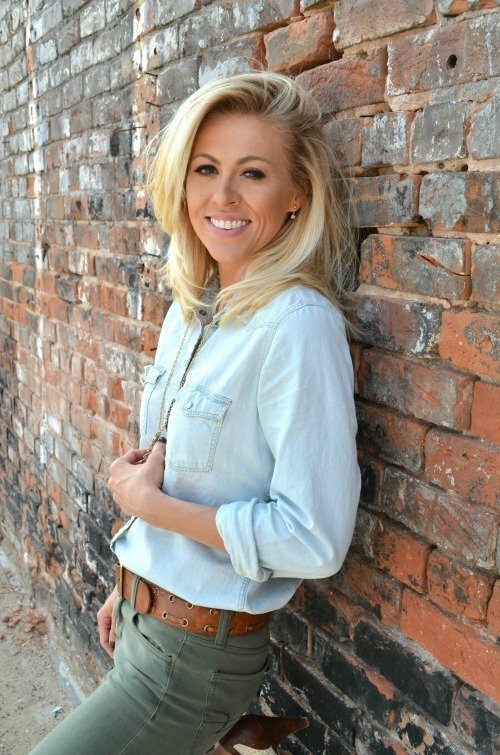 We are kindred spirits Allison! Love this! Did you have to strip the original top to apply the gel stain? This is such a nice look! Yes, but I just sanded the top down slightly. Nothing extreme! Works fine for me that way. Love all your projects!! You have a beautiful home! 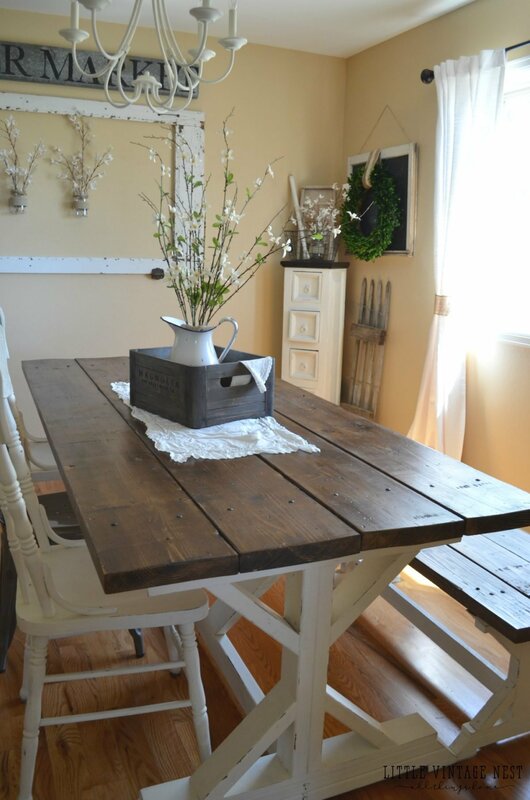 I was wondering if you stained/painted your kitchen table and if so, what colors did you use? Thanks so much Michelle! We did stain the top of the table dark. It’s the Cabot Wood Stain in Aged Leather. I know you said you had this cabinet previously from a few years ago, but if you don’t mind me asking where did you find this? 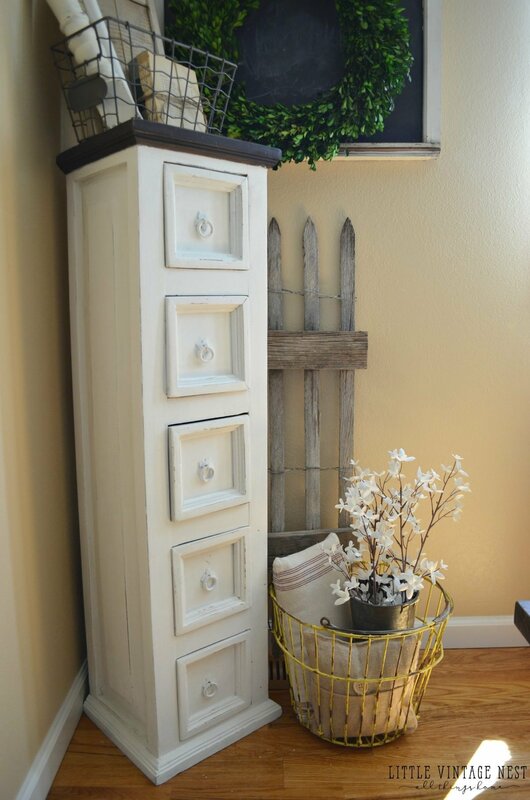 I’m looking for something similar for storage in my living room! Thanks! Hi Christina. I think this was likely purchased at American Furniture Warehouse! Thank you! Do you find most of your antiques at antique shops? Sometimes at antique shops, but those can be really pricey. I find a LOT of my stuff at yardsales and on craigslist or Close5.